Experience a wonderful listening event in this intimate and highly engaging performance of Indian classical & light music. This acoustic setting lends itself to the powerful improvisatory and creative potential of this traditional instrumental music from North India. 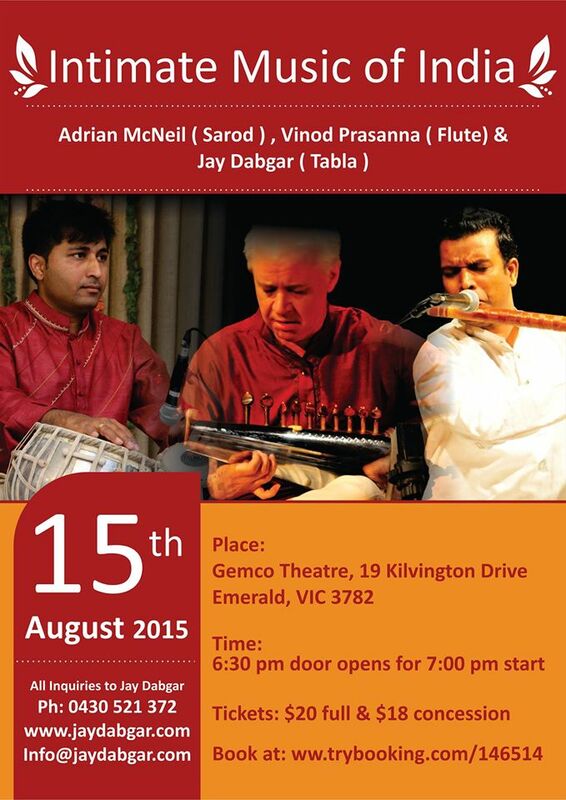 The trio of , Adrian Mcneil –Sarod Jay Dabgar – Tabla & Vinod Prasanna - Flute bring to this performance decades of dedication, training and international acclaim.